The upcoming episode of Star Plus' popular dailytv show Ishqbaaaz has some interesting twists and drama. In the ongoing track, Shivaay has been accused of killing Nancy. Shivaay (Nakuul Mehta) also has CCTV footage where he sees himself killing Nancy, but Anika, Omkara, and Rudra don’t believe the footage, as the faces are not seen and they know that Shivaay can’t kill anyone. Bhavya comes to Shivaay’s room to arrest him and doesn’t find him there. They declare him as a runaway. 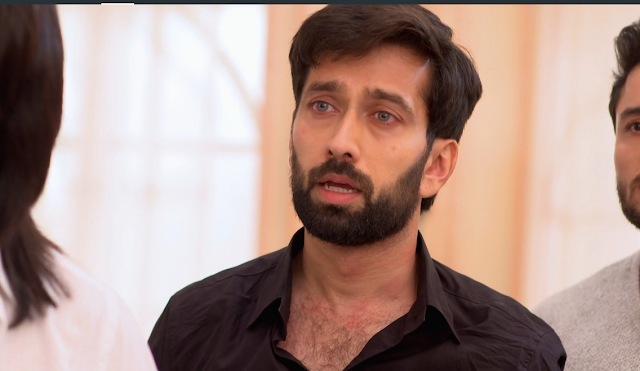 Anika, Om, and Rudra Singh Oberoi are shocked, as they know that this move of Shivaay aka Nakuul Mehta will create more trouble for him. The police have declared him a criminal who has run away because he is guilty. The twist is that Shivaay Singh Oberoi has run away to prove his innocence and will don a new look so that the police does not recognize him. Will Shivaay be able to prove himself innocent?